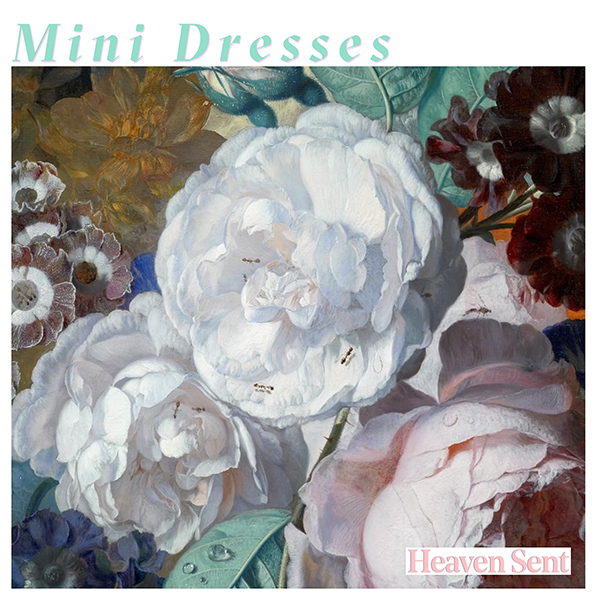 Heaven Sent, the new album from Mini Dresses, arrives early this spring via Joy Void Recordings. The Boston trio has been creating their own style of distorted dream pop since 2012, including a number of singles and EPs as well as their 2017 full-length debut on Joy Void. Their latest is a melange of home recordings, random studio sessions, and collaborations with friends - a departure from the the process that made their last record, but a return to the band’s bedroom pop roots. While the band cites the influence of composers like Piero Umiliani and Lalo Schiffrin as well as other orchestrated film scores from decades past, the members’ headspace during the creation of Heaven Sent is entirely modern. The creeping terror of uncertainty echoes throughout the record - unique and unsure career aspirations, rising authoritarianism, and even Boston’s unaffordable cost of living all lay the groundwork for songs like lead single “Rank and File,” a song that the band describes as “an anthem with a lot of doubt in it” about a couple finding comfort in their love against the backdrop of oppression. Doubt and indecision about what choices to make when the stakes aren’t entirely clear permeate throughout the record, like on the track “The One Who Heard You,” a charmingly warm song about moving into a new living space and wondering what comes next. Even though Mini Dresses may not be able to answer what comes next or what do do about it when it comes, Heaven Sent is a record about being present. As the band states, it’s “about being in the moment, and how it feels to be working together whenever we can.” In both the process of collaboration that helped create the record and the recurring themes of love and togetherness through uncertainty, Heaven Sent captures that essence perfectly.